In February of 2004 the FDA issued a regulation requiring barcodes on prescription drug and biological products. 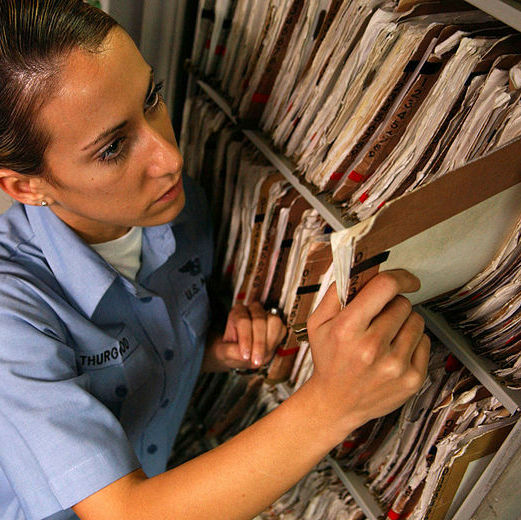 The agency hopes to reduce 500,000 medical errors in the next twenty years. Following a number of extraordinarily successful pilots, the electronic medical record and bar coded drug labels lay the foundation for a number of automatic ID products to enter the health care industry. The system would work like this: On admission to a hospital equipped with the barcode system, the patient would be given a bar-coded bracelet linked to his medical records. Pharmaceuticals in the hospital would be imprinted with a bar code of each drug’s NDC number. (The FDA has exempted product samples, given their use in physician’s offices would be unlikely to benefit from bar code labels.) Before administering a drug, staff would scan the patient’s bracelet. The drug would then be scanned and automatically compared to the patient’s records to confirm a match. The system would detect and report errors regarding: patient identity, dosage, drug identity and time of administration. Staff at hospitals are generally in favor of the process changes. These systems are not perceived as necessary to correct nurses, but rather to expand resources to increase the quality of care. Research at the University of Wisconsin Hospital and Clinics showed that following the implementation of a barcode system, nurse satisfaction with medication and documentation increased 42%; nurse perception of efficiency and safety increased 64%. Despite strong evidence of bar code’s efficacy presented in a number of trials, fewer than 2% of facilities have bedside bar code systems at the time of the report. Comerly O’Neil Medical Center in Topeka, Kansas began a bar code pilot in 1994. Five years later the Center had reduced medication errors by 86%, with no errors whatsoever when the system was used as designed. Following the FDA regulation, hospitals must implement the $1 million plus systems. Symbol’s Jeff Schou predicted 80% of hospitals in the United States would be equipped with bar code systems within the next five years. By automating the medication process, bar code systems limit physician liability. Further, by offering physicians precise information, hospitals may benefit from reduced medical malpractice premiums. By linking a patient’s records with outcomes and financial information, physicians have unprecedented access to patient information at the bedside. The outcome of the FDA’s requirements remains unclear. The health care industry is notoriously reluctant to adopt technology. But if bar code trials are any indication of the gains bar code equipped facilities may benefit from, the FDA’s guidance may trigger substantial investment and reduce resistance to new ID technologies.